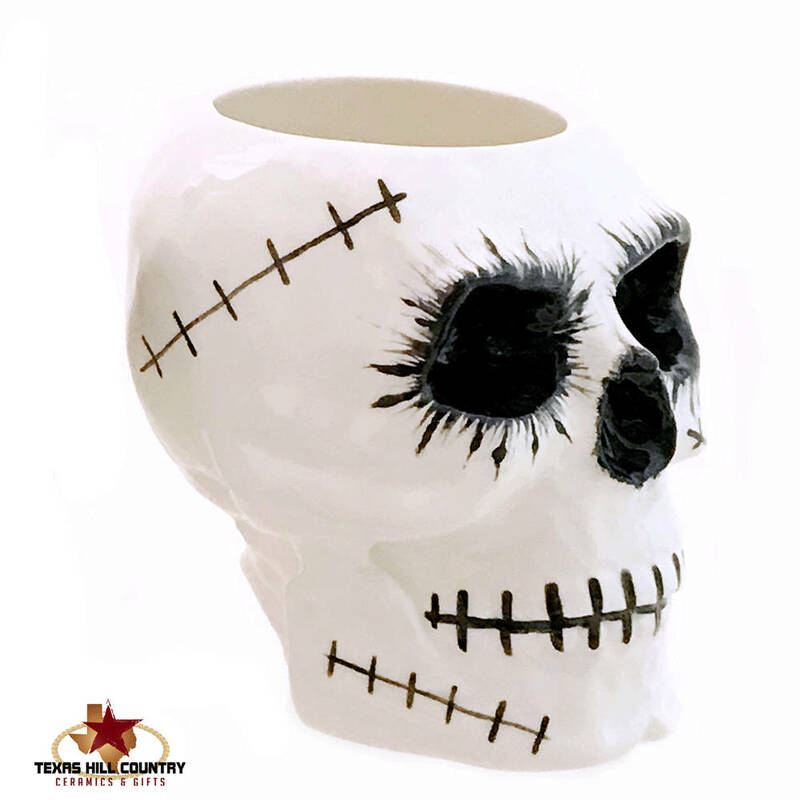 This ceramic zombie skull was created as a holder for toothbrushes or makeup brushes on a bath vanity or candy, pencils, pens or small tools at a work bench or desk. It can also be used as a planter for live, dried or silk plants on a window sill. 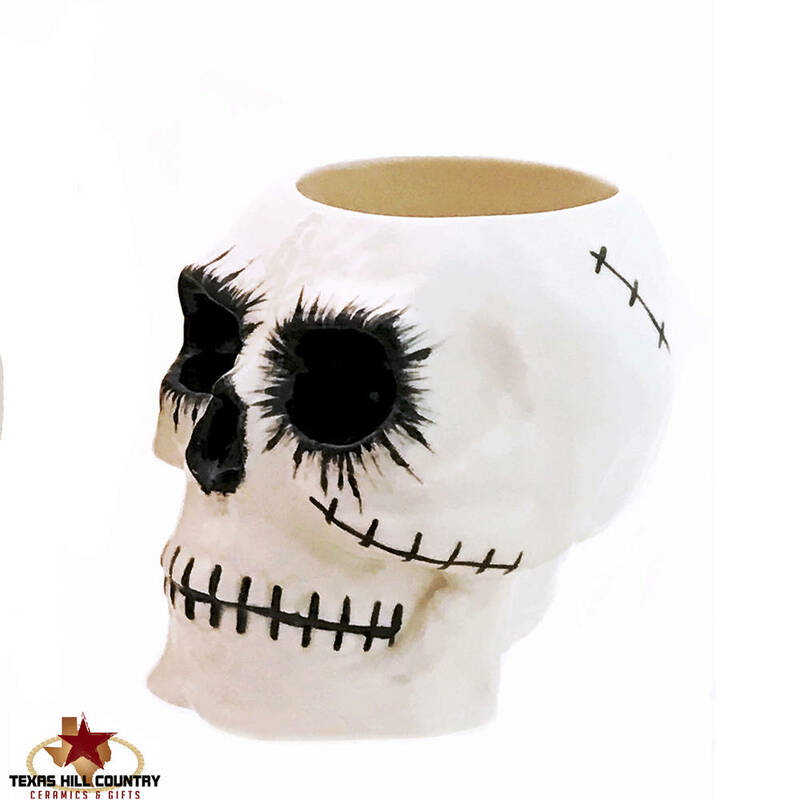 This skull is perfect for adding a creepy horror look to any area of the home or office at Halloween. Made to Order, see processing time in the Shipping Section. This skull kiln fired ceramic clay. 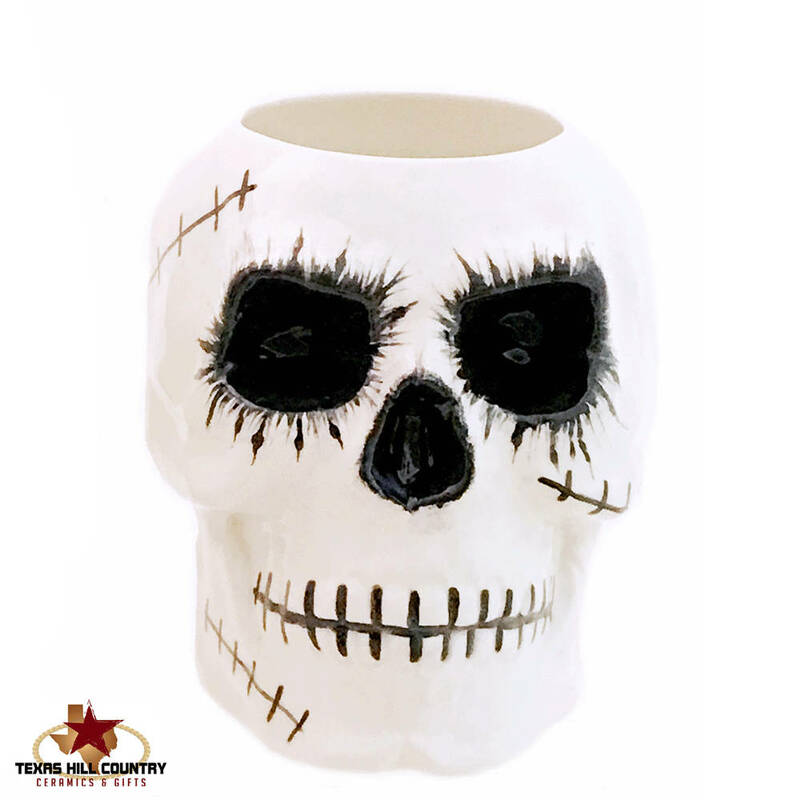 The zombie design is in black underglaze, it is finished with lead free glaze. The entire piece is glazed so it is waterproof. This is my original design. Coordinating items are available.